Neil is a Fellow of the Institute of Chartered Accountants and was for many years an audit partner focussed on the energy and utilities sector. 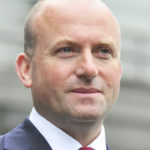 In 2003 he joined London’s bid for the 2012 Olympics and stayed as the Chief Financial Officer and Executive Board Member of the London Organising Committee of the Olympic and Paralympic Games (“LOCOG”) until 2013. Neil is a management consulting partner in one of the UK’s largest professional services firms and holds a number of other charitable board positions. Neil was appointed as a Trustee of The Priory of England & the Islands on the 13th June 2017. Neil was awarded an MBE is the 2006 New Year’s honours for his services to the London 2012 bid.